There's a lot of pressure associated with making split-second choices. It can be easy to freeze up or make the wrong move. 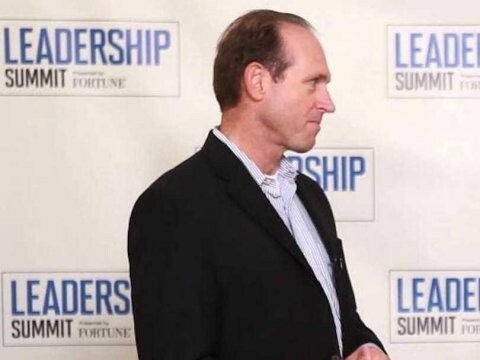 Former nuclear submarine commander David Marquet has a few thoughts on how leaders can make the right call in fast-paced or high pressure situations. He says being prepared is the real key to any kind of decision-making. It's not a secret and it's not a short-cut, it's just the truth. Planning and expertise can help you carry the day and make the right call in any situation. Marquet served in the US Submarine Force for nearly three decades and wrote " Turn The Ship Around! A True Story of Turning Followers Into Leaders " about his experience aboard the USS Santa Fe. "As humans, we have an impulse to admire the leader who seems to just 'make the right call' in the heat of the moment, not focusing on the much more important hard work that precedes that point," he told Business Insider. He brought up US Airways Captain Chelsey Sullenberger, who successfully landed a plane on the Hudson River in 2009, as an example. "While it's dramatic to focus on those critical few moments that saved the lives of the 155 souls on board, his dedicated work in the simulators and thousands of hours of flight time, discussing with cockpit crews various 'what ifs,' and conducting thought experiments laid the foundation for those few moments," Marquet said. "The difference between winners and losers isn't the desire to win, it's the desire to prepare to win," Marquet said. "That's typically hard, boring, tedious, and not very psychologically rewarding."